This item will be released on October 15, 2019. Seraphina meets Red Rising in a debut young adult fantasy that's full of rivalry, romance . . . and dragons. 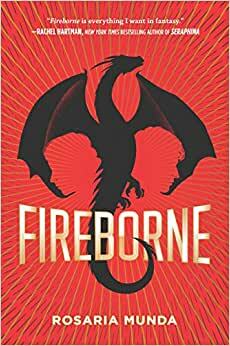 The brutal revolution that overthrew the Dragonlords may have orphaned Annie and Lee, but it's brought new hope to their city. Now anyone--including the lowborn--can have wealth, an education, and even test into the governing class of dragonriders. Aristocratic by birth and with his identity concealed, Lee's confidence and air of power have made him a rising star in the very regime that slaughtered his family. Annie, a former serf, is as bold a rider as they come--in the air. On the ground, she struggles with self-doubt. Now, after seven years of friendship, Annie and Lee are the city's boldest and most daring riders, rivals for the top position in the city's fleet. All the riders have been preparing to lead their people into the future, yet no one is ready when survivors from the Dragonlord families resurface with dragons of their own, bent on reclaiming the city. With war looming and their relationship growing, Annie and Lee will both have to confront wavering loyalties. Lee will be forced to choose between killing the only family he has left, or betraying everything he's come to believe in, while Annie will have to decide whether to protect the boy she loves . . . or step up to be the champion her city needs. Rosaria grew up in rural North Carolina, where she climbed trees, read Harry Potter fanfiction, and taught herself Latin. She studied political theory at Princeton and lives in Chicago with her husband and cat.